Can You File for Unemployment While Waiting for Social Security Disability? You are facing a dilemma when you have been let go from your job because you can no longer perform that type of work given your disability. Maybe you called out too many times for doctors’ appointments, or you are not able to lift or perform many of the required tasks for your position. You then decide to apply for Social Security Disability benefits and you find out that it could take 90 days or more to hear whether you are approved, and even if you do get approved it might be six months or more until you begin receiving benefits. You give some thought to applying for unemployment benefits to hold you over while you wait to hear about your SSD claim, but is that allowed? Should you choose unemployment insurance or SSD? When you file for unemployment benefits, you are communicating to the state employment commission that you are ready and willing to work as soon as you find a position that fits your skills, experience and education. While the Social Security Administration does not prohibit a person who is applying for disability benefits from receiving unemployment benefits, but it does send a conflicting message. When you apply for Social Security Disability Insurance benefits, you are telling the SSA that you are disabled and unable to work and generate substantial gainful activity (SGA), which in 2017 is $1170 a month for the non-blind. If you are indeed ready and willing to work, you are not disabled. If you are collecting unemployment while you are waiting on your disability claim and your case comes before an Administrative Law Judge, they can take that fact into consideration when they are deciding on your disability case. An additional complication is that you are required to notify the employment commission if you apply for disability benefits while you are receiving unemployment benefits. If you do not notify them, when they find out that you have applied for or are receiving disability benefits, your unemployment benefits may be terminated and you may be required to pay them back for the benefits you have been paid. This is a dilemma that many face when they are no longer able to work because of their disability, but must wait for months on end to hear whether their disability claim has been approved. If you have any questions that an experienced Maryland SSD attorney can answer for you, we invite you to call Plaxen & Adler, PA at 410.988.4449 or to fill out our contact form. We have offices throughout Maryland, and we offer our services on a contingency fee basis. 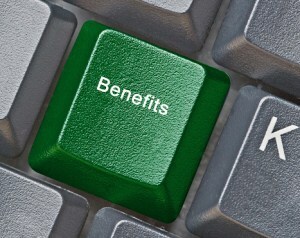 We receive payment for legal fees from the back benefits you receive when your disability benefits are approved.